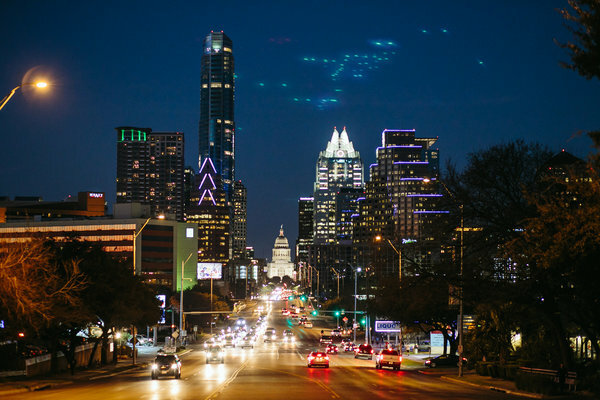 Austin, Texas, is among the best cities with a vibrant startup scene. According to our city rankings, this is a good place to live with high ratings in venture capital, business freedom and healthcare. Austin is one of the top ten city matches for 9.0% of Teleport users. Do locals recommend living in Austin? How could Austin improve to make it a more liveable city? We will make sure that the local government will know about the suggestions that reach enough votes*. Is Austin a great place to live? What makes it special for you? What makes it liveable? What should others know about? Why should they move here? Why do you love it? The overall crime rate puts Austin in position 93 of 266 Teleport Cities in a ranking for the safest cities. Austin is a city of over 900,000 people in the Hill Country region of the U.S. state of Texas. It is the capital of Texas and a college town, and also a center of alternative culture away from the major cities on the US coasts, though the city is rapidly gentrifying with its rising popularity. Austin's attitude is commonly emblazoned about town on T-Shirts and bumper stickers that read: "Keep Austin Weird." Austin is also marketed as the "Live Music Capital of the World" due to the large number of venues. Austin weather is generally nice most of the year; activities are generally not limited by season. However, as Austin lies within Central Texas, be prepared to deal with the long, hot summers if you are visiting between May and September. It is not uncommon for daily high temperatures to be between 90 and 100 degrees during this time — in fact, a day in the 80s is rare, and several days may even reach triple digits (90 days in 2011). If you are here when the weather is like this, dress accordingly, drink plenty of water, and do not plan on staying outside for long (nearly all indoor places are air-conditioned) — unless you're taking the opportunity to take a dip in Barton Springs Pool or any of the other swimming holes in the area. This is especially true if the heat index is around 105 or higher, which is considered to be dangerous. Also keep in mind that the interior of cars will get dangerously hot, especially if the windows are up and it's parked in the sun — don't leave pets or children in there, no matter how briefly. How hot the summer gets usually depends on the amount of precipitation the area has been getting. If there is no drought and the spring has been particularly wet, temperatures will remain relatively tolerable and rarely break triple digits. If it has been dry, as it was from 2007-2009, summers can be very uncomfortable and triple-digit temperatures will be very common. Central Texas winters are short to non-existent. There are many pleasant or even warm days during the winter months (the first 90 degree day of 2012 was in February), and snowfall is rare. However, hard freezes happen occasionally, and light freezes may occur frequently (especially in the more rural areas), and when this mixes with precipitation, ice storms and other wintry weather happen. If the storm is severe enough, the city may shut down for a day or so, traffic may be snarled, and the local auto body shops may notice a spike in business. The Austin area usually experiences such events 0-2 times each year or so, from late December to mid-February. Generally, though, winter weather just varies a lot, with alternating cold and warm fronts that can make for large temperature swings in the course of a single week.